As the name suggests, edge painting is a process, whereby sheets and cards obtain a color on their edges. It consists in applying a pigment to the edge of a stack of gathered sheets. This can be one color or multiple colors organized in a particular sequence – the choice depends on your individual preferences. Such a colorful decoration adds considerably to the overall impression of your business cards or flyers, making them eye-catching, enticing and very edgy! Order edge painting now at Luxury Printing and you’ll get it done professionally in an instant! 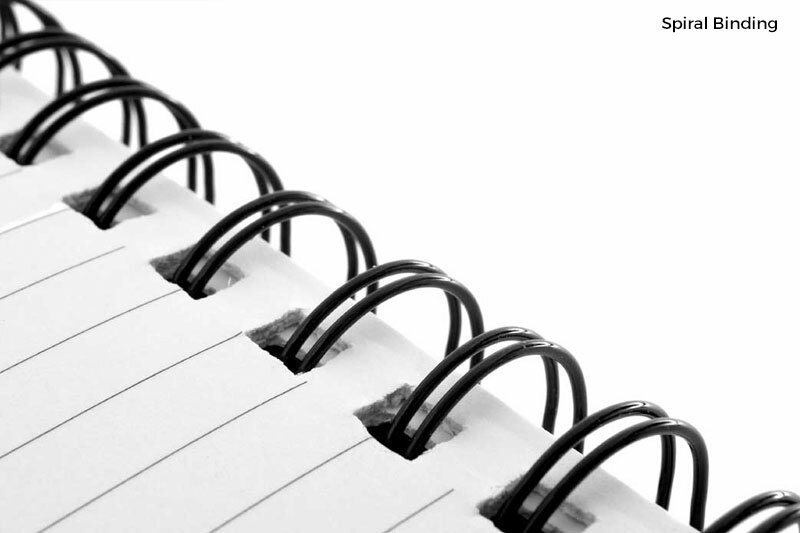 Coil binding, or spiral binding is the most popular binding for print products. This process is uses a special binding machine to puncture the sheets along one side creating holes which then have a plastic spiral coil spun through the holes, holding the sheets together. Most commonly seen on notebooks and documents and allows documents to sit flat on a table with 360 degree rotation of the pages. 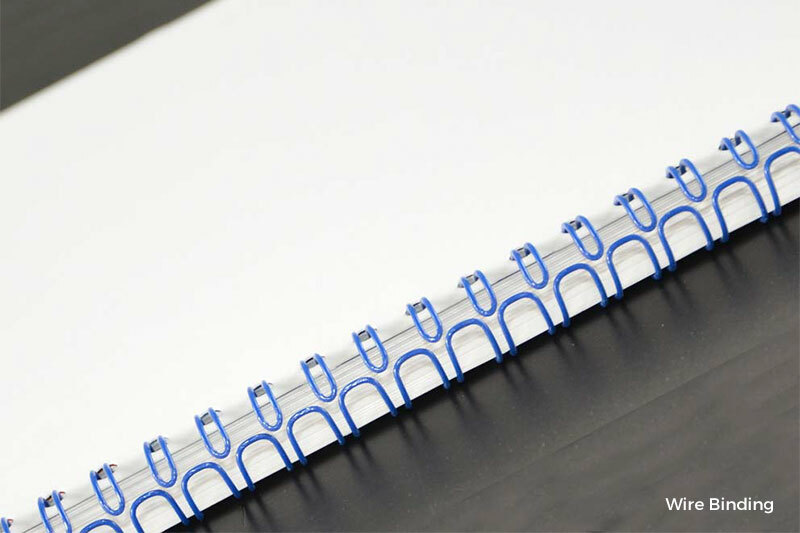 Wire binding uses a long piece of C-shaped metal coil and a binding machine giving a finished result similar to spiral binding. Popular with the print of journals, notebooks and reports, the binding machine pricks holes along one side of the paper sheets then spins the wire through the holes before flattening the protruding endings of the wire; this holds the sheets firmly together. 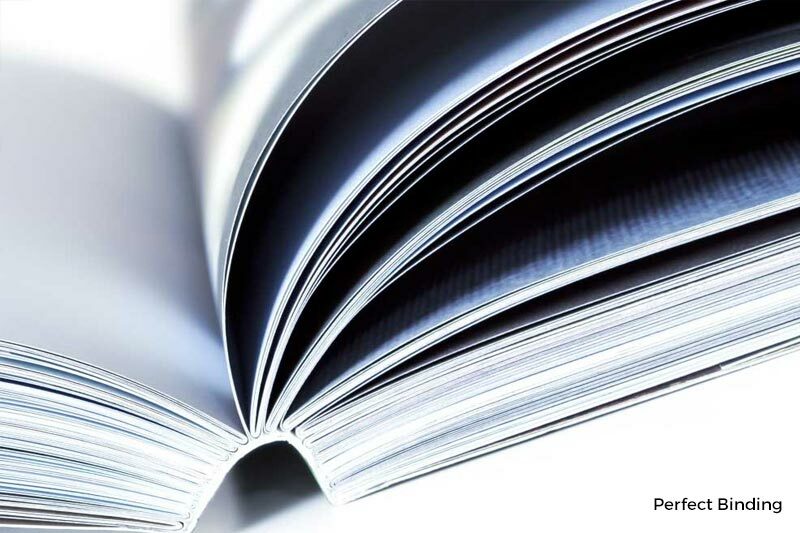 Best for a soft-cover book or booklet, the perfect binding process stacks the pages together in to a block, then both the pages and cover are glued together using a flexible and strong thermal glue at the spine. The edges of the book are then trimmed once the glue dries, giving fantastic durability and a professional look. A saddle staple is a small piece of C-shaped wire which is punctured through the spine of a book. The saddle-stitching method uses these saddle staples to bind together the sheets of pape. A single stitched booklet ends up with 4 pages, therefore a double stitched booklet is 8 pages, and triple is 12 pages. This binding method is used in magazines, newspapers, programs and booklets.